Get to know the East Bay’s newly thriving craft brewing scene on this half-day tour. Meet your guide at a convenient location and set off with just a small group for company; round-trip transit is provided for your safety and comfort. 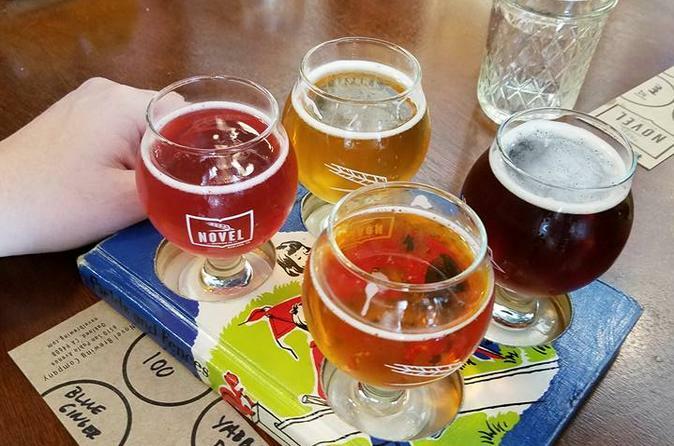 Over the course of the afternoon, you’ll visit three Oakland and Berkeley breweries, will indulge in numerous tastings, go on a behind-the-scenes brewery tour, and enjoy snacks and drinks along the way. Music and games on board and at the breweries. In front of the fountain at Latham Square Plaza. 2 blocks from the 12th Street Bart Station.